Sponsor union membership for a prisoner for $5/month or $60/year*. *What does “sponsoring a union membership” mean? Incarcerated workers labor in conditions of slavery, generally making wages of between $0 and in the low double-digits of cents per hour. Building infrastructure to support incarcerated workers’ self-organization costs money, like any union organizing effort. IWOC needs funds to pay for telephone access (extremely overpriced in prisons), printing costs, mailing costs, and other needs. “Sponsorship” of a union membership is not tied to a specific individual, but is rather a symbolic way of covering general costs for organizing. If you are interested in establishing a more direct penpal relationship with a prisoner, please get in touch. Click “Make a Donation” button. Click Continue and enter your card info. Checks can also be sent to: IWW (c/o IWOC): PO Box 180195, Chicago, IL 60618, USA. You can subscribe to the Incarcerated Worker for $20/year. All proceeds go to support organizing. IWW prisoners led a 3 week prison strike in Texas this April. IWW members participated in the 10 day strike led by the Free Alabama Movement this May. IWW members on the inside are leaders in the Sept 9th Strike Call. Prison slavery’s days are numbered if we can create a mass movement on the outside to expand and support the leaders on the inside. Since our beginnings two years ago we have grown to a movement of prisoners, with 800 members in 36 states. 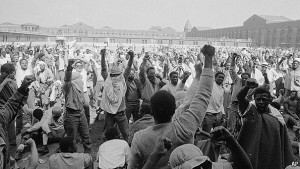 Read how prisoners are organizing in their own words here. While we know capitalism exploits every member of the working class, an often forgotten group is prisoners of the State. In the US, these workers are legally enslaved under the 13th Amendment, which prohibits slavery “except as punishment for a crime”. More than 3,000,000 souls are abused through destructive incarceration, with millions more on probation, parole, and legal discrimination after release. 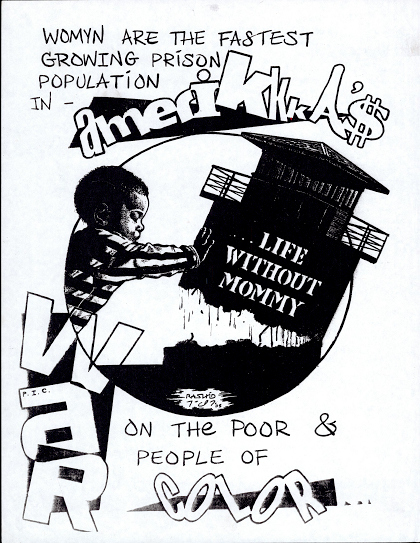 Exploited for pennies or dollars a day, there are few sections of the working class with more revolutionary potential and more reason to overthrow capitalism than those abandoned into the largest prison system in world history. Increasingly people in prison are putting their very lives on the line to end state torture and exploitation. From labor strikes in Georgia and Alabama, to hunger strikes in California, to mass actions across the country, prisoners and IWW members are demanding change. We started the IWW’s Incarcerated Workers Organizing Committee in response to prisoners reaching out for support. Now, 21 months later, there are nearly 800 IWW members in prison. See newsletters here. 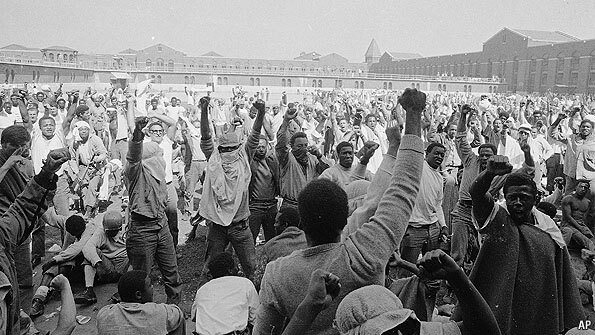 As a revolutionary union our role is clear: work in solidarity with those incarcerated to organize, improve conditions, and shut down this oppressive system. We have members who participated in prison shut downs, strikes, and collective actions. Together we have combated torture, retaliation, and false medical diagnoses. It is with a call from our members for a multi-state prison action in 2016 for federal minimum wage in prisons that we send you this letter to ask for your support. IWW members in prison are on the cusp of starting their own branches, and we need your help to honor the sacrifices they are making by having the resources to stay in contact and hire two organizers to organize a key state’s entire prisons system, including nurturing an outside support network, such that they will not be able to transfer our prison organizers out of their state system. Checks, which save us the processing fee, can be sent to: IWW (c/o IWOC): PO Box 180195, Chicago, IL 60618, USA.